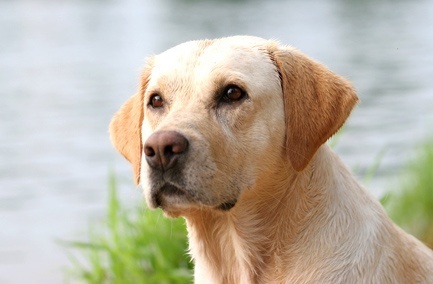 Labs generally have a good disposition with a “bold” personality and are known to be friendly with just about everyone! They require a moderate to high level of exercise on a daily basis to satisfy their over exuberant energy. Goldens are active, alert and eager to please. They require a moderate level of exercise, are extremely easy to train and are very social with family, children and even strangers. Weights: Males 60-80 lb (27.27-36.36 kilos); Females 55-75 lb (25-34.09 kilos). They have a short, shedding coat that is straight and dense in colours of wholly black, yellow or chocolate. Hip and elbow dysplasias are the biggest disease threats so choose a breeder carefully. These are wonderful dogs, but need a lifetime of mental and physical stimulation. Ideal for young, active families.